Draw attention to your company's quality products and services by ordering rack cards from 3plains. 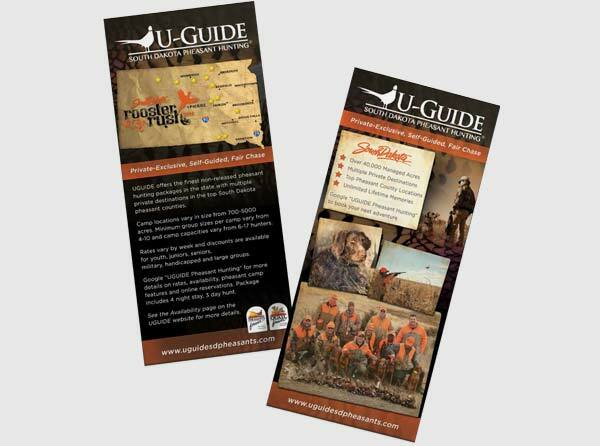 Our attractive rack cards are designed to be noticed, and they are a popular choice among our hunting, fishing outdoors customers. 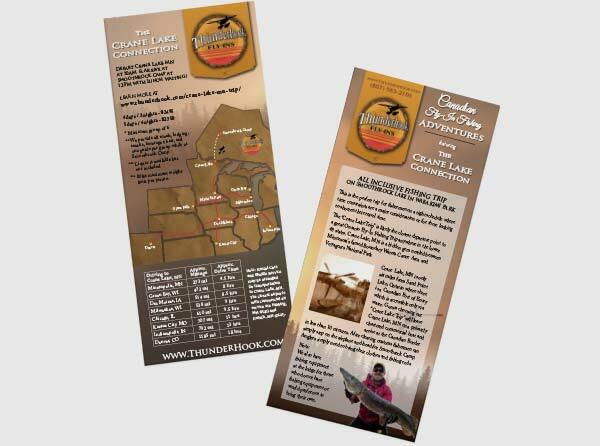 Our rack cards ship quickly thanks to our multiple printing locations and fast turnaround times. Our rack cards are printed on the same quality card stock as our business cards with full color designs on the front and back of each card. 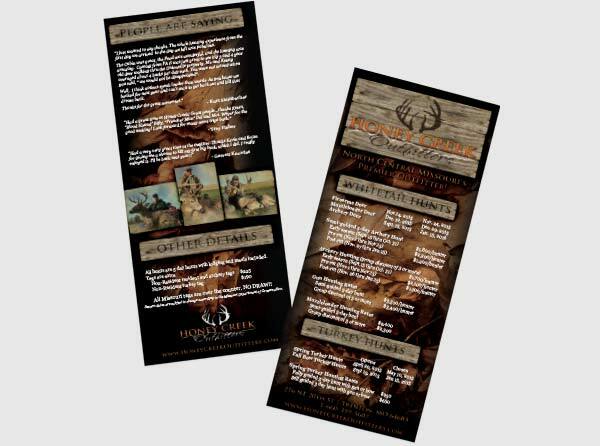 We recommend utilizing the services of our professional designers to create your rack cards. We offer 4" x 9" rack cards in numerous impressive paper options to meet your needs and your budget. From glossy paper stocks with High Gloss UV Coating on the surface, to uncoated and recycled stock, we want to ensure you have several options to choose from. If you'd like a Wow! factor, you can choose our ultra-thick, trifecta triple-layered stocks that have a velvet finish on the surface. Whichever paper you choose, all of our rack cards are printed in full color on one or both sides on our state-of-the-art offset presses. Please contact us for prices on design and quantities. The higher quantities are lower in price. The price does not include shipping charges which vary depending on your location and the amount of rack cards being shipped.